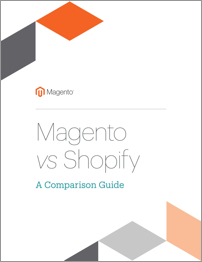 Understand the differences between Magento and Shopify. Thank you for your submission. Enjoy! Still have questions? Our team of friendly commerce experts are here to help! As the world's leading commerce provider, we’ve learned a thing or two from our community about how to do commerce right, and we're dedicated to passing this knowledge on to you. We've got a team of commerce experts to help, and we'd love to talk about ways Magento can help you drive more business. Get in touch with us here.